Must first be Fusion Summoned. 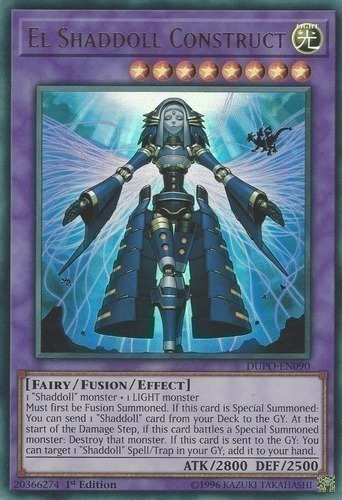 If this card is Special Summoned: You can send 1 "Shaddoll" card from your Deck to the GY. At the start of the Damage Step, if this card battles a Special Summoned monster: Destroy that monster. If this card is sent to the GY: You can target 1 "Shaddoll" Spell/Trap in your GY; add it to your hand.